In an sharp deterioration of diplomatic ties, China has blocked a request for a U.S. warship to visit the post of Hong Kong, the U.S. consulate in the Chinese city said on Tuesday, amid rising tensions between Beijing and Washington over escalating tariffs and a U.S. decision to impose sanctions on China's military for engaging in military deals with Russia. The ship, the Wasp Expeditionary Strike Group, is currently in the East China Sea, according to the WSJ which notes that Beijing's decision will affect hundreds of service members serving on board. The Wasp, which can support as many as 1,600 Marines and sailors, has been at sea since August. Its home port is in Sasebo, Japan. 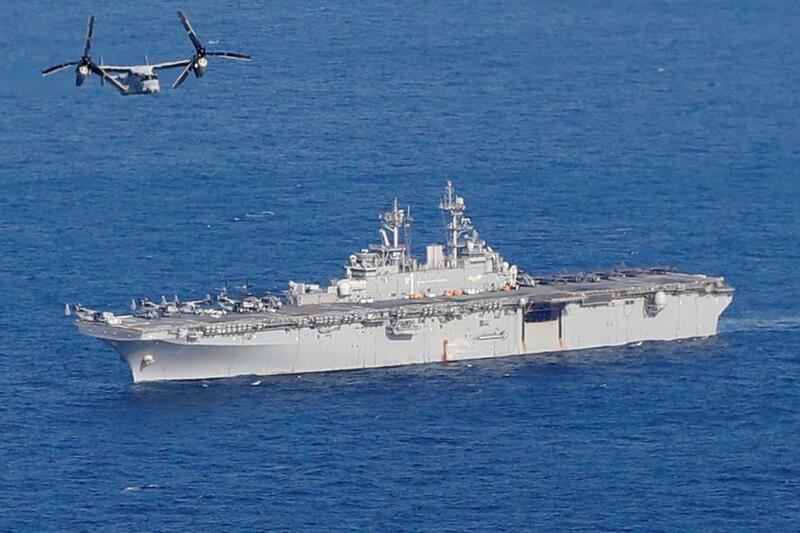 The amphibious assault ship Wasp was due to make a port call in the former British colony of Hong Kong in October, diplomatic sources said, however Beijing flatly denied the request. "The Chinese Government did not approve a request for a U.S. port visit to Hong Kong by the USS Wasp,” a consulate spokeswoman said adding that "we have a long track record of successful port visits to Hong Kong, and we expect that to continue." Earlier on Tuesday, Foreign Ministry spokesman Geng Shuang did not directly answer a question on whether China had denied the request: "For requests for U.S. military ships to visit Hong Kong, China has always carried out approvals case by case, in accordance with the principle of sovereignty and the detailed situation,” he told reporters cryptically. Beijing previously denied passage by U.S. military vessels in a similar expression of displeasure. In April 2016, a time of tension over the territorial disputes in the South China Sea, it refused the U.S. aircraft carrier John C. Stennis a visit to Hong Kong. Separately, China also canceled an upcoming meeting between top naval officers from the two countries, as we reported previously following China's decision to summon the US ambassador after the US imposed sanctions on Chinese entities in retaliation for purchasing Su-35 combat aircraft and equipment for S-400 surface-to-air missile systems from Russia in late 2017 and early 2018 from Russia. Chinese Vice Admiral Shen Jinlong was scheduled to meet in the U.S. with Chief of Naval Operations Adm. John Richardson at the International Seapower Symposium, a gathering of global naval officials in Rhode Island, according to the Journal. "We were informed that Vice Adm. Shen Jinlong has been recalled to China and won’t conduct a visit with Adm. Richardson. We have no additional information at this time,” Pentagon spokesman and Army Lt. Col. David Eastburn told the newspaper in a statement. China and the United States are also embroiled in an increasingly bitter trade war, which culminated this week with a decision by the Trump administration ti impose its latest round of tariffs on China earlier this month, targeting $200 billion of Chinese imports. That announcement prompted China to retaliate with tariffs on $60 billion of U.S. imports.